Hop skip and a jump to the beach, only 93 metres fromthe beach. 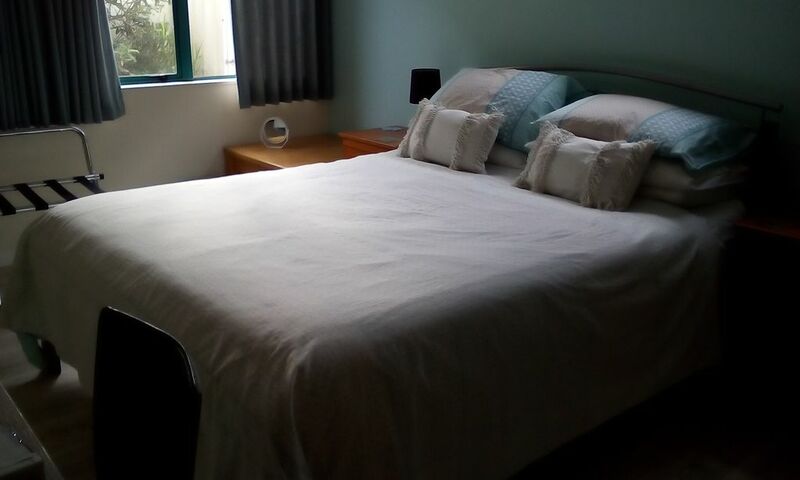 This is one of three rooms we rent out and can be rented individually or as one of two or one of three. It has air con, a private bathroom and is on the far wing of the house so is very private. It is ideal for a couple travelling or someone here on work as has work desk with unlimited high speed wi-fi. All linen supplied as is soap, shampoo and body wash. Tea/ coffee also. Recently redecorated. Thanks Emma it was a pleasure to have you and Ashley. Safe travels and all the best for 2019.